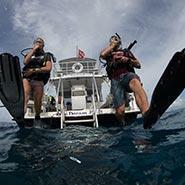 Getting your PADI Open Water scuba certification is super easy and fun. 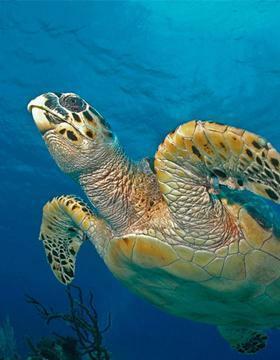 It is an amazing hobby that opens an entire new life of ocean exploration. The course will teach you how to safely explore the amazing world that is beanth the sea. The thrill of floating in inner space watching amazing creature. As a hobby it is both wondrous and rewarding. We teach ages 10 to 60 and it makes for the perfect family vacation or an amazing activity to share with your closet partner. The PADI Open Water certification is the most popular course in the world, millions of people have already taken the plunge. Its more than just a hobby its a lifestyle and can become very addictive. Grand Cayman is the most perfect place in the world to begin. Allow our passionate and caring instructors to guide you through the easy steps required to become relaxed and confident underwater. From your first breaths to your last dive, we are there with you all the way to certification! There are 2 options to complete your PADI Open Water scuba certification: Open Water Referral Option or the eLearning Option. 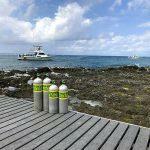 Knowledge Development – teaching you all the theory behind scuba diving needed to be a safe diver. 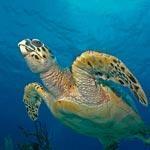 This can be done via PADI’s elearning classroom prior to your visit. Confined Water Training – We teach this in ‘swimming pool like’ conditons at our shore location. Learn how to breath underwater in a fun and relaxed environment. 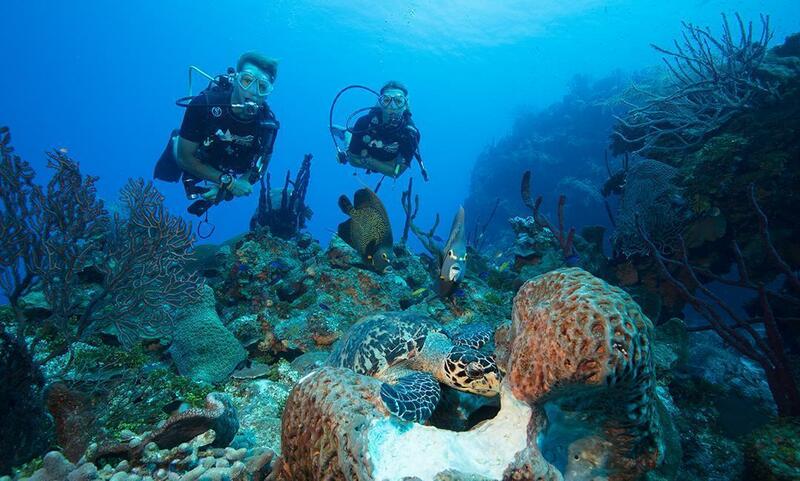 Open Water Dives – Put all you have learnt into pracitise and exlore Cayman Diving with 4 beautiful dives with your instructor. 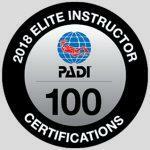 After completing the classroom and pool seasions at your local dive center, you book your trip and come join us in the sunshine to complete your certification. 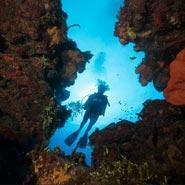 When you get to the island, we take you on your 4 open water certification dives in warm, crystal clear Cayman water. This course is completed over 2 half days. 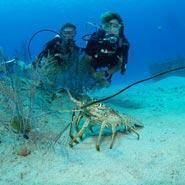 Day 1, you will complete dives 1 & 2 from our awesome shore location. 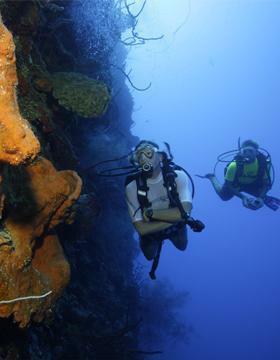 This location is perfect for brand new divers, giving you the time needed to get comfortable and relaxed while making sure all the standards for the first 2 dives are met. 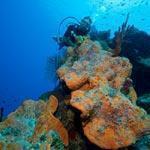 On the dives you will see fish, coral and sponges for the first time you put your face in the water. Day 2, you will join us on the boat to complete dives 3 & 4. Having the first 2 dives under your belt, you will be ready to enjoy the boat and meet the max depth limit of 60ft for your last two certification dives. 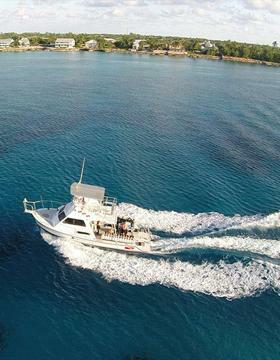 Our Open Water Referral is $295 and includes transfers from your hotel or condo along Seven Mile Beach to our training facilities and boats departure points, personal instruction, 4 awesome dives, all equipment needed and certification processing. You will be certified over 2 days. Once you are certified you can use your new skills and join us on any two tank dive trip or you can continue your education with the Adventure Diver course. 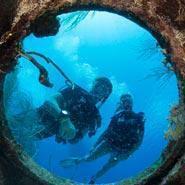 Check out our rates page for certified divers and continuing education courses! This referral works for courses that you completed at home prior to your trip. Your instructor at home will give you referral paper work to bring to us. We suggest scanning and emailing this to us ahead of time. 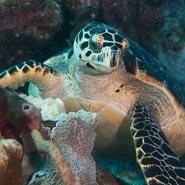 We are a PADI 5 Star Dive Center and welcome referrals from any PADI dive store. We are also able to complete Universal Referrals and Global Referrals. This means no matter what the agency we can get you certified. Completing eLearning before you arrive on island is by far the most popular way to complete your PADI Open Water scuba certification. The knowledge development section of the course is super easy when you use PADI’s eLearning classroom. Using the link provided below, you register and affiliate with our store and start learning. You can log on from any internet connection and complete at your own pace. At the end of each section is a short and easy quiz. When you have finished all sections you receive a completion email and you are ready to get wet! On island we complete the in-water skill development (confined sessions) at our shore location in swimming pool like conditions but with fish swimming around you. We break for lunch and complete OW dives 1 & 2 in the afternoon. 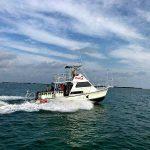 The following day, we complete OW dives 3 & 4 from our boat and you are certified! The course takes a day and half. Our e-learning Open Water certification is $395 and includes transfers from your hotel or condo along Seven Mile Beach to our training facilities and the Boat’s departure points, personal instruction, 5 confined water sessions, 4 awesome dives, all equipment needed for the course and certification processing. You will be certified over 2 days or 3 half days if that works better for your schedule! 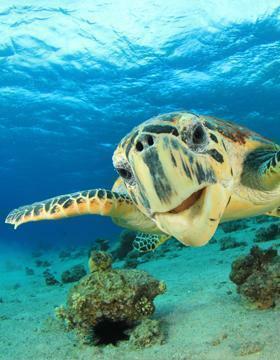 To sign up for e-learning, there is a $146 fee payable directly to PADI for the materials. All you have to do is follow this link.